At this time of year, all over London, dozens of new shows preview their wares in preparation for the Edinburgh Fringe Festival. It can be a bit hit and miss as an avid theatre goer, but occasionally there are some real gems to be found in the theatre bars and backrooms of the Capital. 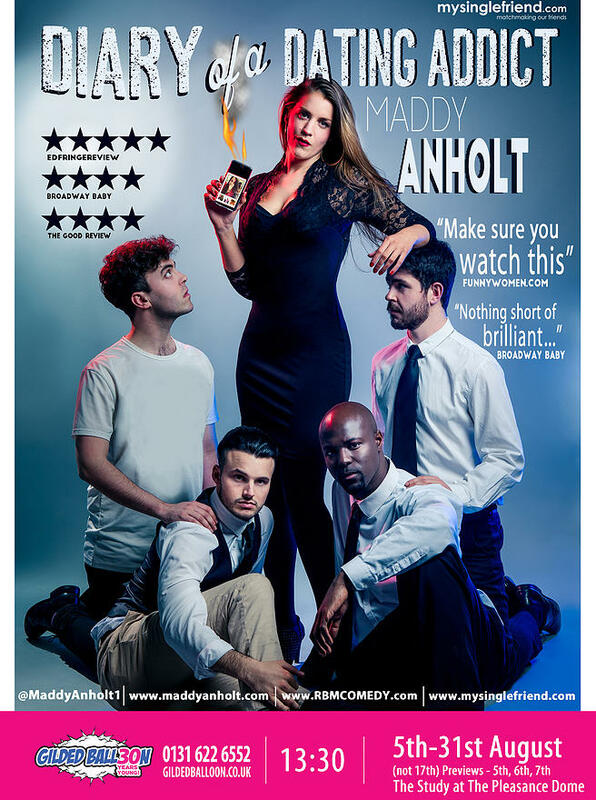 I was fortunate enough on Friday to find a real jewel of a show at The Hen and Chickens Theatre, Islington, written and performed by the incredibly talented Maddy Anholt. "Diary of a Dating Addict" is a one-woman show taking you through a whirlwind year of online dating in a quest to find her perfect Mister Right as she enters her late twenties with the big THREE OH looming over the horizon. The show is fast, quick witted and very, very funny. Maddy plays a version of "herself" and also each of the four online dates she has been on throughout the year. Four very different, distinct characters that you can easily visualise through Maddy's characterisations. A city boy yuppie, a wide boy rapper (kisses teeth), an ice-cream selling mummy's boy and a body building chauvinist. Maddy fluently moved between the different characterisations to seamless interaction with the crowd, actively "hitting on" a number of the male audience. Very funny, especially when they were sitting next to their girlfriends/wives! I am sure this show will be a huge Edinburgh success at The Gilded Balloon and highly recommend you take advantage of the remaining previews in London before she heads North. We need more inspirational, get up and go, drive your own destiny people in this industry and Maddy is certainly one of those. Go show your support!